Orrell Ju Jitsu is headed by Sensei Stuart Swalwell third degree black belt and technical officer with our Shogun World Martial Arts Association, We have a strong, experienced team of committed staff who have all been CRB and D&BS checked and are qualified to teach Ju Jitsu martial arts, self defense & anti-bullying techniques to adult and junior students from the age of 4 - 65. We are members of Wigan Borough Sports Council. 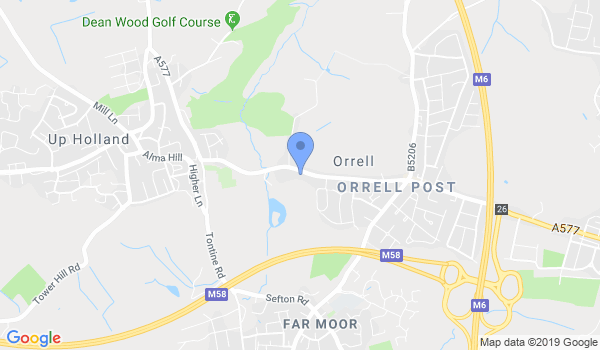 In 2010 Orrell Ju Jitsu was nominated for sports club of the year and the club continues to support the Wigan Borough sports council and the local community and regularly run self defense and conflict management courses at local high schools to Year 11 students throughout the Wigan area. We have our governing body in Shogun World Martial Arts association headed by sensei Garry Phillips and ensure that we work to the ethics and syllabus of the association at all times. At Orrell Ju Jitsu our professional coaching team hold classes every Saturday Morning - at Gymetc, Orrell, Wigan. Would you like more information on hours, classes and programs available at Orrell Ju JItsu? Please contact the school with your questions. Update the details, Write a Review or Report Error of Orrell Ju JItsu.